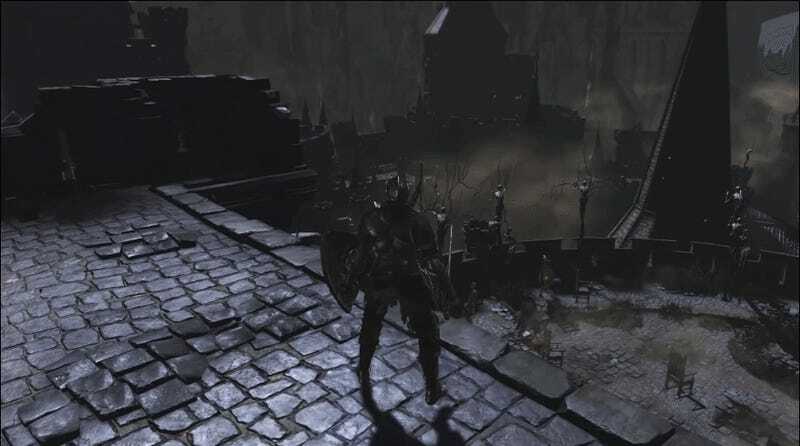 Some secrets buried in an alpha build of Dark Souls 3 reveal that some sort of Battle Royale-style player-vs-player event may have at one time been planned for the game. As Souls data miner Lance McDonald shows in a recent YouTube video, a few special items that never made it into the final version hint at a special event wherein groups of players could be summoned in from other games to enact a large-scale brawl. Last month, McDonald discovered remnants of a boss rush mode that was cut from Bloodborne. 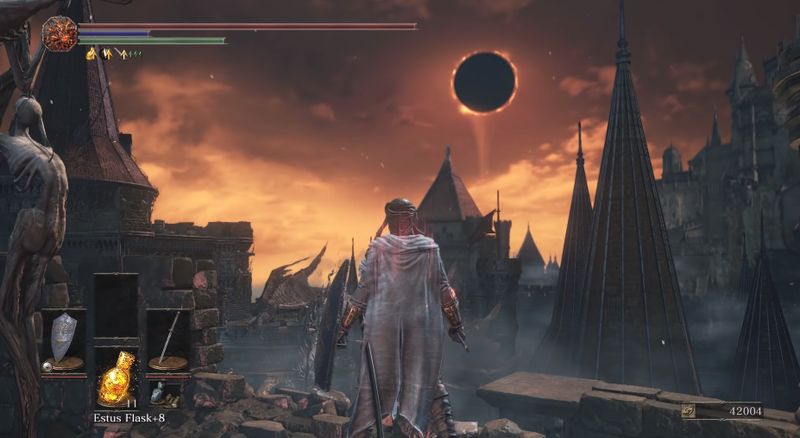 More recently, he’s turned his focus to Dark Souls 3—specifically the High Wall of Lothric, an area of the game with a great view of the rest of the city that is protected by a fire-breathing wyvern. There’s a version of the wall from the alpha that’s playable. While it’s not that different looking from the finished version normally, McDonald explored it in his video during a “moonlight ceremony,” a special event he was able to conjure using mysterious items buried in the alpha build’s code: the Ceremony Sword of Darkness, the Ceremony Sword of Flame, and the Ceremony Sword Battle Royale Eclipse. Meanwhile, the item description for the Sword of Flame reads, “When used, invade a world that has been enveloped in darkness.” Based on that, the hypothesis is that one player could could use one sword to start the ceremony and then other players could use the other sword to all join in the same instance and fight each other. It’s not hard to see how this would have been an interesting evolution on the series’ existing PvP modes where players can invade one anothers’ games, either as friends or foes, on a larger, more Battle Royale scale. There was one other item McDonald uncovered: the Ceremony Sword. That item didn’t have a description to go along with it, but McDonald believes it was probably related and potentially might have augmented the type of Moonlight Ceremony a player initiated. As he points out, multiplayer brawls aren’t entirely alien to the series since lobby areas like the Hollow Arena allow traditional 1v1 and 2v2 matches between players. It’s not completely unreasonable to think From Software might have had grander ambitions at some point. McDonald hasn’t yet revealed how he first discovered the Moonlight Ceremony, but has promised to share more details about the investigation that led to it in an upcoming video.